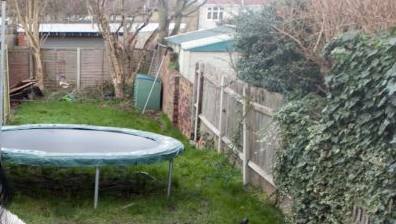 » How Much Space You Need For a Trampoline? In recent years, owning a trampoline has become a popular choice for many families, and for good reason. For children and adults alike, a trampoline can be an endless source of fun, and are also a great way to get fit and active. If you're considering purchasing a trampoline for your own family, you may be wondering what trampoline size you should choose, and whether it will fit your yard. Perhaps you are wondering whether your trampoline can be installed safely in the space you have available. Luckily, for most families it is perfectly possible to find a trampoline that will fit safely and aesthetically into your yard. 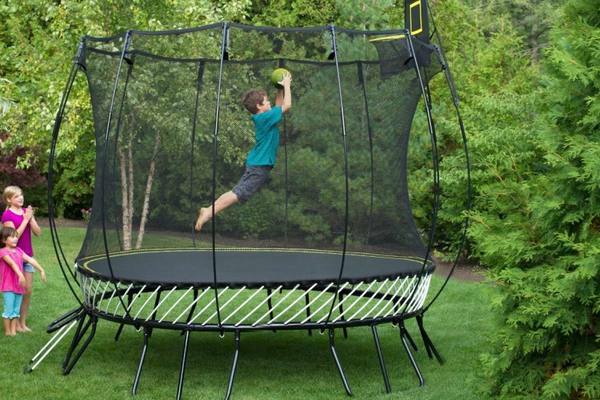 Read on fto find out how much space you need for a trampoline. How much room do I need for a trampoline? How much space do I need around a trampoline? 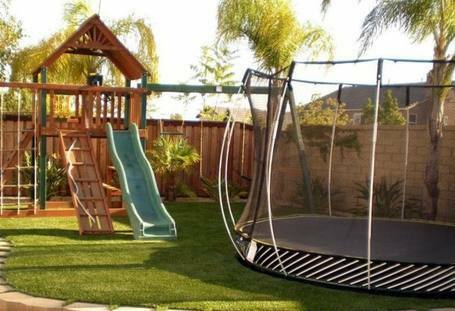 Unless you have an extremely small yard, it's highly likely that you have enough room for a trampoline. Nowadays, trampolines come in a wide variety of sizes. So, once you've established how much space you have available, you can begin to go about selecting the best one for your family. However, the most important thing to consider is the safety margin that you have around your trampoline. Often, when people decide to purchase a trampoline they forget to factor in enough space for a safety margin. This margin is necessary in order to avoid nasty accidents if somebody falls off. When planning for your safety margin, you will first need to decide if you intend to have a net enclosure around your trampoline. To help you understand how much extra space to plan for, here is a quick guide. If you don't plan to have a safety net around your trampoline, a margin of 8.2 ft is necessary. As this is required around the entire circumference, you should add a total of 16.4 ft to your overall measurements. If you do plan to have a net enclosure, then you should plan for a margin of just 1.5 ft. This means you will need to add 3 ft to your measurements altogether. Also, remember that your enclosure must be at least 1.5 ft from any wall or fence in your yard, as they can cause injuries to the user. - Without an enclosure: Allow a 26.4 ft area. - With an enclosure: Allow a 13 area. - Without an enclosure: Allow a 28.4 ft area. - With an enclosure: Allow a 15ft area. - Without an enclosure: Allow a 31.4 ft area. - With an enclosure: Allow an 18ft area. Remember that trampoline measurements come in imperial measures (yards and feet) rather than metric (centimetres and metres). Be sure not to confuse them, as there is a big difference. If you consult the guide above, we have already converted the measurements into metres for you. 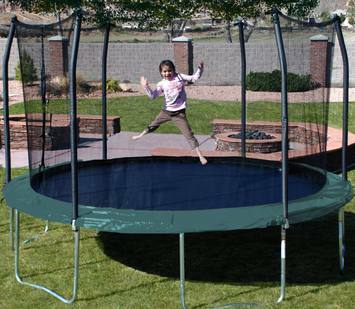 Using tape measure, measure the width and length of the clear area you have available to place your trampoline. Do not include any areas with overhanging branches unless you are wiling to cut them back, as they present a hazard to anyone using your trampoline. Once you've selected the correct size of trampoline for your yard, you will need to prepare the ground to install it safely. There are several points to consider, so here is our step-by-step guide. 1. Ensure the ground is level. If there is an incline, anyone bouncing on your trampoline will gradually gravitate towards the lower end, and this can be dangerous. If the incline is slight, you can dig out small trenches for the feet of the trampoline to keep the bouncing surface level. However, if the ground is steep, you will need to dig out a terrace for your trampoline. 2. Ensure the space above your trampoline is clear. As we mentioned above, it is important to ensure that there are no obstacles such as branches or washing lines in the airspace above your trampoline. People on trampolines can bounce surprisingly high, and you don't want to risk anyone injuring themselves. ​3. Clear the space around your trampoline. Having measured a safety margin, ensure it is cleared of any objects of furniture, which could injure people using your trampoline. 4. Ensure that the ground is soft. This is important in order to absorb the shock of people jumping on the trampoline. 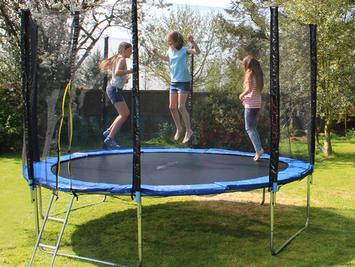 Hard surfaces such as concrete or tarmac are unsuitable for trampolines. 1. Check the trampoline is placed away from any open water, such as ponds and swimming pools. These can pose a serious hazard to children using your trampoline, especially if you don't have a safety net installed. 2. Ensure that it is not placed in an area exposed to the wind. This is especially important if you have a safety net, as air resistance can build up and actually cause the trampoline to become airborne. 3. If like many of us you have purchased a trampoline for your children, ensure it can be viewed from the house. Misuse of trampolines can be dangerous, and it is important that you can supervise your children's use at all times. In conclusion, with proper measurement and ground preparation, installing a trampoline successfully and safely in their yard is a realistic ambition fr many families. Hopefully you now have all the information you need to select the correct size trampoline, and are aware of how much space you need for a trampoline.